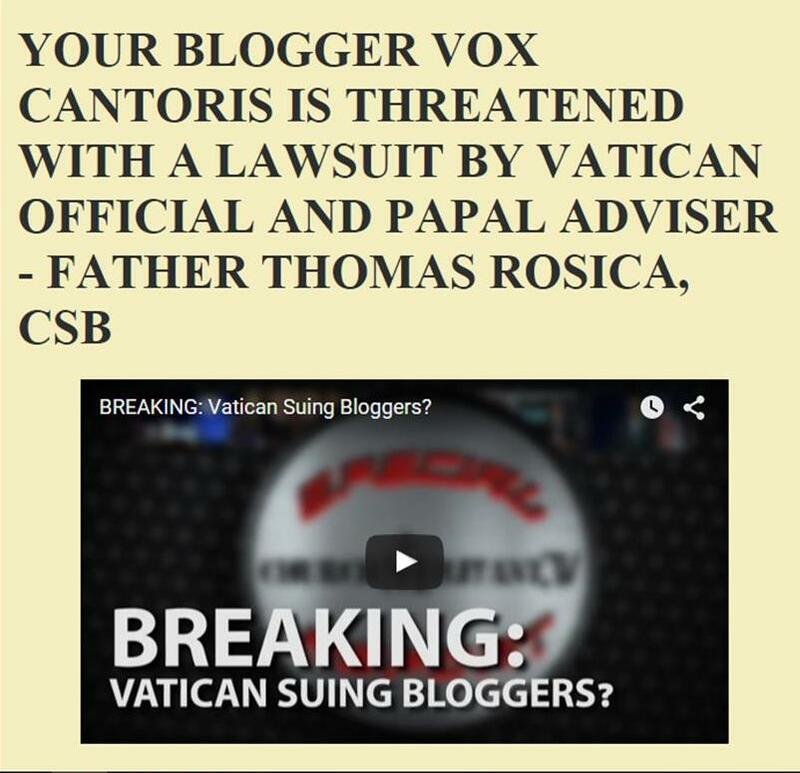 Vox Cantoris: Michael Voris declares his past homosexual sins - New York Archdiocese was planning to "out" him! On behalf of Frankie, we love you. We support you. We thank you. We pray for you. God love you. God keep you. God bless you. Friends, I stand behind Michael Voris, he stood behind and up for me. I stand beside him as a brother. Look how great our beautiful Lord Jesus Christ is. How much power and glory and mercy has he shown this man. To those in the New York Archdiocese, you will pay in this life or the next. What a frank and no holes barred apologia. I'm with you here in support of Voris. Thank you so much for posting this. I suspect, that the vindictive sucker punching wolves, in New York, are wailing and gnashing their teeth. Perhaps, just perhaps, Voris' honesty will cause some of them to reexamine their own lives. So someone in the New York archdiocese was looking for dirt on his past. Wow, how low can you go. Is there a specific cleric or bishop behind it? Nothing surprises me in the Church anymore. "We have on very good authority from various sources that the New York archdiocese is collecting and preparing to quietly filter out details of my past life with the aim of publicly discrediting me, this apostolate and the work here..." It would be fascinating to find out just who in that archdiocese was planning this, and what their sources were, because if they followed through with this, it would almost make them look more sleazy than ever before. Imagine that - the "no limit to mercy" Church suddenly emptying its archive of information about a man's past sinful life. God bless Michael Voris! May he, with the help of St Michael, Our Lady and all the saints continue His apostolate. He's all the more human and lovable knowing how he clawed himself from the brink. May he open up his comments box to those who respectfully call out Our Holy Father on his error. It's nice seeing what you look like, Vox. Your face glows with holiness. I wish Michael Voris and his family the peace of Jesus Christ. I am ashamed of the countless sins that I have I committed throughout my life. I am an unknown nobody. I can't imagine revealing to the public my sins, in particular, my mortal sins. Nobody need ever to worry about me ever becoming the first to cast stones at people. Congratulations on cleaning out your closet Michael...God bless your courage...doesn't it leave you feeling squeaky clean and at peace? You must have NY Diocese in a panic...now the wind is out of their sails as they tried to 'out' you...keep on exposing the dark side of the hierarchy. The Faithful are entitled to a clean Church. Treasa. Long way from that Sandpiper, some day with hope! I think this is great - now Voris is free to speak as a first-hand witness about the lies pushed down our throats regarding SSA, how it comes about, and how healing is possible. Perhaps Our Lady didn't like his filtering it out and allowed this threat to move him to adjust. Now Voris is free, and Church Militant will be stronger than it was before. Fear not; you have given this to Our Lady and her faithful soldier, Saint Michael. It is hers and she will guide, ad majorem Dei gloriam! I want to take this opportunity to publicly thank Michael Voris for his sincere and open public admission. Words fail me to say how much I admire his courage in publicly declaring what he has declared. It is very clear to me that the Archdiocese of New York sought to silence Church Militant using the threat of "outing" Michael Voris for his past life. Everyone to a greater or lesser degree has a past life. Michael Voris has said that he struggled and overcame his past life. Yet forces opposed to Church Militant hoped that employing duress of exposure to use that past life to silence Church Militant. There is something very very wicked within the Archdiocese of New York. Something that is truly malignant that would seek to blackmail in to silence someone who has seen and rectified the error of his ways. God Bless You, Michael Voris. May God reward Michael for his humility. Where sin abounds grace abounds all the more. None of us has to be what the past has made us. To be in Christ is to be a new creation. Let us never fail to pray for the conversion of poor sinners. I didn't say saintliness, Vox, just holiness ;). Keep up the wonderful work you do here. Thank you for shining the light in these dark days. If they reveal his past sinful life ,they better be prepared to expose their own ,it's a pity they did not show the same vigilance when dealing with pedaphile priests. "Let him who is without sin cast the first stone"
hoped that employing duress of exposure to use that past life to silence Church Militant. Michael, I am so sorry that you are finding this situation! Every person in the Archdiocese of NY is a sinner! To feel the necessity to stick your nose in your "do-do" like a puppy is evil and abysive! My prayers are with you. And for you. Often you have to stand as a beacon and also a prophet of Truth and Integrity. I understand your life only too well! I left my Community and ran off to the world, "leaping over the wall! " I went through that period of emptiness and irresponsibility. The Lird had mercy on my poor soul and drew me back to Himself, he allowed me to renew my solemn vows of stability, conversion and obedience, and to live these vows in the secret of my Parish. They can't impeach you, they can't discredit you, and as they breach confidentiality, they are culpable of grave error? My prayers are with you, and I implore Jesus to use you ever mire as a sign of His Infinite Mercy! Good for Michael; what a forthright public confession. We are indeed new creations in Christ. Thank you, Michael, for this. Now I understand what drives your tireless, nonstop zeal for the Faith and the miracle of conversion that accomplished it. According to Fr. Hardon, miracles of this kind are the greatest miracles of all, ordered to the purpose of saving souls. May your work and that of all your colleagues at ChurchMilitant prosper all the more, especially at this time when the diabolical is on an all-out rampage as never before. I will continue to support and pray for you and am looking forward to getting my daily fix of new CMTV material again. I cried when I read this, I too am a convert and lived a life in mortal sin. This will help the mission. Satan has been disarmed in this attack and he will be furious. God Bless Michael Voris. The Magdalene was my inspiration during my conversion. As a public figure Michael will be the inspiration for millions of others after the Illumination of Conscience. Next step... be honest about the damage being caused by Francis. That will hurt, but now you know what it means to risk complete honesty and pass through the fire. I have never like Voris more than after this article. This changes nothing Michael except it does make you more credibly. The subject of your past sins wasn't an issue to be speculated on by those who longed to hear the truth of the One True Faith. This public confession places you beyond the touch of those who would attack your appostilate. May Our Blessed Mother continue to protect and guide you. And may God Bless you and have mercy on us all. Don't be afraid of those in New York... They are powerless against God. You went through your sins and because of them you have power (like st. Paul) to testify to the AWESOME GRACE OF OUR GOD by the loving hands of His Mother! The title of this piece: "Archdiocese WAS planning to "out" him". Should't the "was be changed to an "is"? What they are doing to Mr. Voris is terrible. It is unfair and unjust and not particularly their business. It is also exactly what Michael Voris has been dishing out to others for a long time. There is nothing more humbling than a public confession of our personal sins and shortcomings. In this particular case there should have been no need for it. What happened prior to Michael's reversion to the Church was covered by the Blood of Jesus after his first Confession upon that reversion. In God's sight Michael's sins were cast as far as east is from west and cast into the depth of the sea never to be remembered. For anyone to consider those forgiven sins as being in some way justification for what has been allowed to fester in the New York Archdiocese and the threat their public exposure as some form of gag upon the mouth of this apostolate is not only sinful abuse to the sanctity of the Confessional but just plain downright disgusting. Keeping you in prayer, Michael. As Red Green would say, "I'm pulling for you...we're all in this together." God bless. Who couldn't admire the unbounded courage that it took for Michael to 'tell all' about his past? This story reminds me of St. Damian who because of having no other Priest to confess his sins to, yelled his confession to (I believe) a Bishop who's ship was passing, for all to hear. Proof that holiness requires loving God more than others or one's self. Holiness and total love of God, is what allows us to humiliate ourselves to such an extent. Prayers for Michael Voris to continue to expose the filth that goes on in the Church. I don't agree with him for not exposing or even questioning what this Pope is doing, but I do admire his humility and courage. Prayers for him and CM, may God Bless him and give him the grace to continue fighting the corruption in the Church. Like him or not, please pray for Michael Voris and his ministry; God bless him. The recent petty - and I trust fruitless - assault on him only convinces me that he is a 'saint' living among us .. and, God's grace willing with final perseverance, one day shall be recognised as one more honoured Saint on the altars of the Church (like so many other culturally 'difficult' souls, in the feisty spirit of his hero Ven John Fulton Sheen). His so very human flaws only make him more likable .. to those who understand the real difference between a flaw repented of and a wrong magnified as if a right. This issue is much larger than Michael's past pecadillos. As Michael, Fr. Oko, and others have discovered, there is a vast homomafia that coordinates its actions to grind down small investigators and eliminate them so the malefactors can continue undisturbed. I would expect that it would include all the elements discovered by Italian prosecutors in their investigation of the P2 lodge. You will find clerics, politicians, judges, police, businessmen, secret services and societies, military men,and academics all covering each other's crimes. Don't expect Francis to ever deliver on his promise to clean this up -- he'll run from the power elite just like Benedict did. It's up to faithful family men to band together and form a commission and counter-intellegence body to fully expose the infiltration and corruption that Michael and others have only touched on its surface. And, the extortionists, blackmailers, embezzelers, murderers, and rapists must be prosecuted and brought to justice. Voris and Oko can't do this individually. We have to take what we've learned a pursue a comprehensive campaign of exposition, purification, restitution, and restoration. Michael....your sins are just different than mine. End of discussion. Hold your head high and KEEP ON!!!!!!!!!!!!!!!!!!!!!!!!!! You hit the nail on the head, Bless Me Father! It's one thing to confess and repent of the evil of one's life, and quite another to boast about it and defend it as if it were not a sin at all!! It's the difference between God's depth of Mercy, and Satan's evil ways that makes one blind to the darkness of his life. One of my favorite passages is: 'Let you who have not sinned cast the first stone.' There are probably a lot of us that are 'reverts' who have led a life of sin before having the 'blinders' taken off, and I myself was no exception. At the darkest moment of my 'confused' life a friend suggested I start praying the Rosary, even a decade a day. Through the Rosary within three weeks time, the scales fell off and miracles happened, one after another, and I was reconverted into the TRUE Church of Christ. After the Holy Sacrifice of the Mass, the Rosary is the most powerful prayer on earth. The Blessed Mother through her awesomely beautiful Rosary saved my life, and I know I'm one of MANY that she has 'turned around'. I will never stop promoting the Rosary, it is truly miraculous. I know I'm 'preaching to the choir' but PRAY THE ROSARY PEOPLE, IT IS TRULY MIRACULOUS!! Hello Vox! You look like a singer! Praying for you Michael!! Keep up the good work!! Let he who is without sin cast the first stone!! Hoping this is the beginning of reaching even more souls than you have already !! God Bless you and your ministry. Every saint has a past, every sinner has a future. I shall be praying for Michael as he continues in his ministry. Our Lord Jesus Christ came for us sinners. 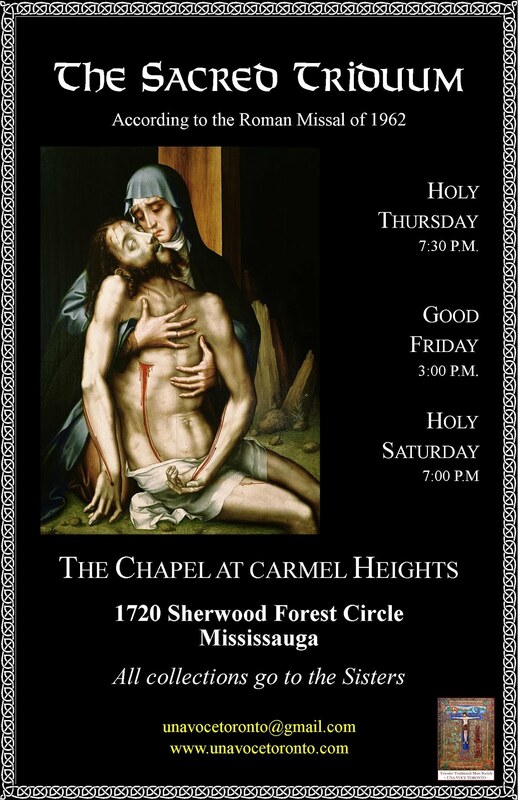 St. Dismas, pray for us. Well, I trust that God will bless you greatly for this, Michael, apart from what anyone else may think about it. And any repentant sinner (of whom the Church is full, myself very much included) could have nothing but admiration for you over this, however much they may disagree with aspects of your ministry. You are, as you well know, a living breathing moral miracle and for that very reason your witness is both refreshing and incredibly faith-building. May the Grace and the Blessings of the Sacred Heart be with you, the Peace of the Sacred Heart encompass you, the Merits of the Sacred Heart plead for you, the Love of the Sacred Heart enflame you, the Sorrows of the Sacred Heart console you, the Zeal of the Sacred Heart animate you, the virtues of the Sacred Heart of Jesus be in your every word and work, and the joy of the Beatific vision one day be yours! So this Catholic man has devoted his life to defending Catholicism. And the ADNY is targeting him for personal destruction. Can we stop pretending that these people are Catholic? These people are criminals and apostates who need to repent and revert. When are we going to wake up and start talking about how these people have left the Faith? Abusing the office of Cardinal Archbishop by engaging in criminal cover-up and character assassination is merely the rot we can all see and smell. At some point we have to acknowledge that, regardless of diocesan institution or office held, that the person or the overall institution is functionally apostate (good Catholics within at lower levels notwithstanding). Let this be the the singular outrageous act of betrayal when the Catholic remnant acknowledges that entire diocesan hierarchies have left the Faith. I noted yesterday that I have great sympathy for Michael Voris. The only thing about Michael Voris' statement yesterday that I felt was unwise concerned his having involved the New York Archdiocese in his "mea culpa". I believed that that was a major mistake. I am convinced of that even more so today as the New York Archdiocese has rejected Michael Voris' claim in question. Michael Voris should have simply acknowledged his past. The most important part of that is the fact that he confessed his sins, was forgiven, and has reformed his life. To borrow a bit from Pope Francis' famous statement, which is simply Catholicism 101, who are we to judge Michael Voris? Unfortunately, Michael Voris went farther than simply having acknowledged his past life. He dragged the Archdiocese of New York into his "outing". That is a serious allegation. Beyond that, the Ordinary...the human face and voice of the New York Archdiocese...is Cardinal Dolan. 1. In effect, Michael Voris involved Cardinal Dolan in the story as the Cardinal is responsible for the Archdiocese of New York. 2. 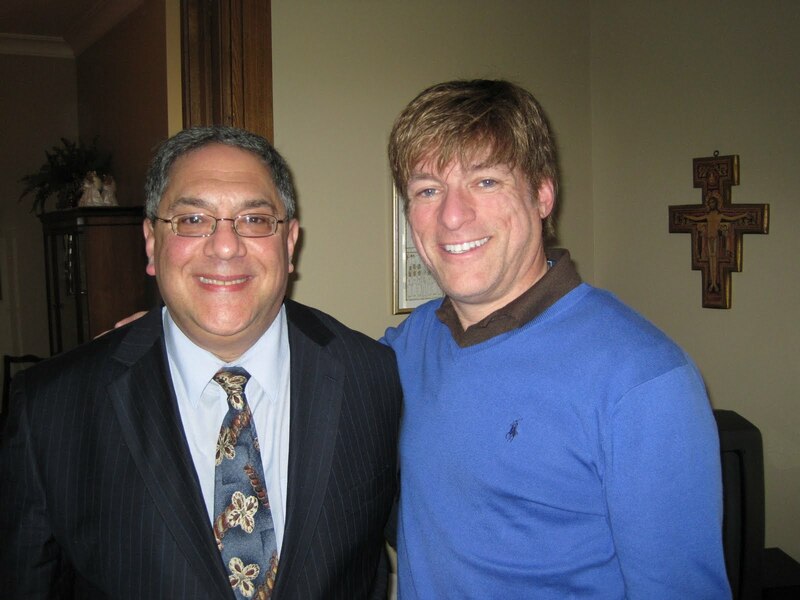 The Archdiocese of New York has denied that they had sought to "out" Michael Voris. Therefore, Michael Voris has expanded the story beyond his "mea culpa". Michael Voris created several story lines. That was unwise. We have Michael Voris' credibility versus Cardinal Dolan's/Archdiocese of New York's credibility. That doesn't look good for Michael Voris as he acknowledged that he had hidden from public view his homosexual past. On top of that, he acknowledged that he thought that that was a mistake. What also has begun to circulate about Michael Voris is the "what goes around, comes around" treatment. As Jan noted here in her comment, Michael Voris faces that which he "has been dishing out to others for a long time". Not, as Jan noted, that that is fair. But Michael Voris is now receive that which he had dished to others. Michael Voris said of his having hidden from view his homosexual past: "Perhaps that was a wrong assessment. I don't seriously know. Perhaps along these years I should have been revealing of greater detail. That, I now think so, but more on that in a moment". Again, that is Michael Voris speaking, not I.
I feel bad for Michael Voris. He botched his mea culpa. He acknowledged that he thinks that having hidden his homosexual past was a mistake. That places a question mark at least upon his journalistic credibility, particularly as he hammered for a long time at homosexuals or alleged homosexuals. He dragged the Archdiocese of New York into his mea culpa. The Archdiocese of New York has rejected the allegation that they were determined to "out" Michael Voris. Things don't look good for Michael Voris. As a Child of God, Michael Voris' past sins have been forgiven by God via Confession. Michael Voris is free from judgment in that regard. "Who am I to judge?" However, as Michael Voris the journalist, his credibility, prior to and following his "outing" will be called into question by many people. Just as troublesome for Michael Voris is that he has to deal with the major consequences associated with the Archdiocese of New York's rejection of his statement that he has it "on very good authority from various sources that the New York archdiocese is collecting and preparing to quietly filter out details of my past life with the aim of publicly discrediting me, this apostolate and the work here". I wonder whether Michael Voris the journalist can recover from some serious missteps that he made by way of his mea culpa. Liberals and moderates certainly won't ride to his rescue. He also won't find much support among Traditionalists as he's outraged them via his many unfortunate comments about the SSPX. I can't comment on Father's situation. I think he has commented on his Facebook. They are both my friends and dear to me and Fox. I do not believe he has done himself any damage, if anything, the air is cleared for him. If the commentary on his page, this one, other media is any indication, Traditionalists are quite humbled by his words and actions. As for New York, he has many contacts there or the stuff prior would not have come out. I think he can trust them on what they were telling him. The Archdiocese of New York can protest all they want and deny, deny, deny. Frankly, I don't believe them one, little, bit! Vox, we disagree about Michael Voris the journalist. He has lodged two major accusations against the Archdiocese of New York. But he has not offered any evidence to support his monumental claims — 1. The existence of a major homosexual ring whose activities are, at least to some extent, known allegedly by Cardinal Dolan. 2. The Archdiocese of New York was prepared to "out" him. Michael Voris' claims against the Archdiocese of New York are akin to his claims against the SSPX being anti-Catholic and schismatic. He never produced evidence that counted. He never produced a Papal declaration that the SSPX was schismatic. He has produced any evidence to support his claims against the Archdiocese of New York. Should he do so, then his claims would take on a different light. He admitted that he thinks that it was a mistake to have hidden his past life. That, in turn, will absolutely call into question his journalistic integrity as he had hammered time and again at homosexuals or alleged homosexuals. The question is whether his hidden life and shame as a homosexual had raged within him to the point that his focus upon homosexuality as a journalist was fueled by a desire to "get even" with homosexuals or alleged homosexuals. Vox, you and I agree that Michael Voris, the man, our brother in Jesus Christ, needs our prayers. To me, this is the most heart-rendering part of Michael Voris' comments about his past life. "Many of you know the story of my mother's prayers and sacrifices and pleading to God on my behalf that I give up my sinful life and return home to the Church. As a last resort, she prayed to be given whatever suffering needed so that I would be granted sufficient grace to revert. It was shortly after that prayer that her very early stage stomach cancer was detected, which she died from a few years later. "During the last year of her life, I began to change by beginning to frequent the sacraments more often. When my mom died, I pledged at her coffin that I would change. I said, "Mom, what you went through for me, you will not have gone through in vain." I returned fully and completely to the Faith and close to two years later, I began this apostolate." Imagine the tremendous emotion that must have filled Michael Voris' heart and mind as he stood next to his mother's coffin to pledge to her that he would change his life? I have thought about that scene time and again last night and today. I pray for the eternal rest of Michael Voris' mother. I pray for peace to fill Michael Voris' heart. Whatever sins that he may have committed are in the past. Nobody can judge him on that. Vox, again, we disagree about Michael Voris the journalist. But I appreciate that he helped you last year when you needed and deserved help. Vox, I also appreciate that you are a stand-up man. You remember your friends. You are loyal. I recall that you stood by Rob Ford (R.I.P.) just a few weeks ago. I deeply appreciate Michael's courage in making this public apologia. My only thought was that I finally understand why he had not gotten married, despite looking like an excellent "catch" for some lucky woman! It is appalling that anyone who claims to be Catholic would want to "out" Michael -- not because he is now leading a bad life, but because he has been so effective in exposing the genuine weaknesses of today's Catholic clergy. I wish Michael and his apostolate God's choicest blessings in all that he does for Christ and His Church going forward. His work to spread the Gospel is a virtual gem of truth and witness to in the Catholic Church in America today. Michael is truly free, unlike many clerics in the archdiocese of NY and around the world. I would even suggest that the archdiocese of NY are more akin to the Pharisees in Jesus' time casting judgments while their hypocrisy and support of filth is permitted. God Bless you Michael.... Keep speaking TRUTH, unlike many wearing robes!!! An impressive matter of fact delivery, never losing sight of his mission, even when one would assume he's at his most vulnerable. Not so, when you're right with God. The homosexual cabal in the NY diocese must be one large mass of shoulder massages as their evil efforts proved as barren as their seed. Thank you Michael, this is an amazing confession. A mother's prayers are so powerful - filled with pure love for her child. And look how lavish God is with His answer? Not only does He bring the child back but he so infuses him with love and zeal that he makes a mission of going to the ends of the earth to save souls, just as his own soul was saved from the depths of depravity. You are one amazing person Michael. May God continue to bless you and shower His Graces on you so that you reach absolutely everyone who needs to be pulled out of that filthy mire of sin. Thank God you responded to His mighty Grace. And spurred on by your example I am recommending Our Lady to be the guardian of my chastity too. Thank you. Micheal Voris was blessed to have been given a true catholic mom. Micheal tell us that after the death of his brother, the most charitable, the most loving thing she ever said to me was, I don't want to be in heaven knowing you're in hell, he finishes it of with you must say the truth.. Well his beautiful mom told him the truth and that's what set Micheal Free! Cardinal Burke also spoke the truth, and saved another soul from the immoral life style of homosexuality. And so we know them by their fruit..
Michael Voris' confession was absolutely top-drawer; and Vox's comments spot-on. I admire Michael's courage. As to comments about Michael's work, I "discovered" him at Real Catholic TV about five years ago. I have been a "Premium Member" of Church Militant and find a way to write an additional check every year in support. As concerns Michael as a journalist, he is even more credible now than he was before. With reference to the Archdiocese of New York, Dolan is an embarrassment and ought to be removed. I'm with you all the way, dear Michael Voris. I just loved the support that you got from VOX readers. The NY diocese behaved as if they are free from all sin, the hypocrites. You are forgiven and free in Jesus Christ. You know it. They should know it. "They" fear you and your forthright speaking, something we stopped hearing a long time ago in the Church. Don't stop. Ever. I am as a big a sinner as you, if not greater, only different ones. Like you, I have been threatened. I do similar work (in a manner of speaking, as you do, on my web site) out here in India. I often imagine hearing them saying, "Will someone rid us of this man?" If only they knew my now-washed-in-the blood-of-Jesus sins and sordid past, they would try to do the same to me as they attempted with you. Let us pray for each other and other lay Catholic militants like us.